The words take me back to the reveal trailer: a rage meter rises as Kratos reprimands his son for scaring off a prey. Just five minutes into their first hunting trip, things are already tense. With bow confiscated, Atreus can only wish that his mother was still alive to guide and comfort him. This short scene hits a sore spot for me. It illustrates what it’s like to have a critical, distant, and above all, angry father. 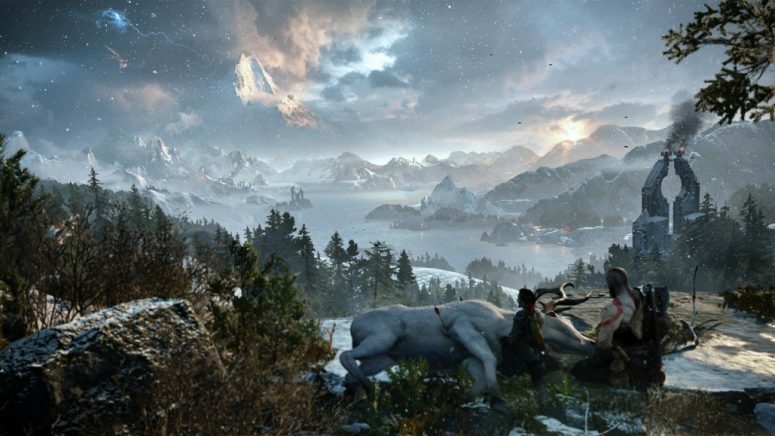 For a high-budget game, God of War is surprisingly focused. The theme of parent-child relationships permeates the experience: from the protagonists to the antagonists, from the side quests to the underlying lore—family drama always finds a way to intrude. Perhaps it all stems from the Spartan’s troubled lineage. 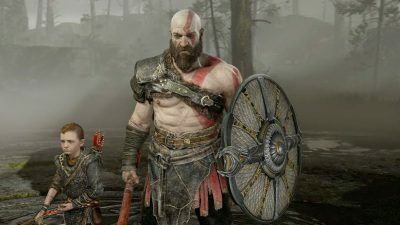 The struggle between Kratos and his father, Zeus, is front and center in the first trilogy of the series, culminating in patricide. Those versed in Greek mythology would recall that Zeus also fought and overthrew his father, Cronos, and going further back, Cronos himself was guilty of killing his own father, Uranus. 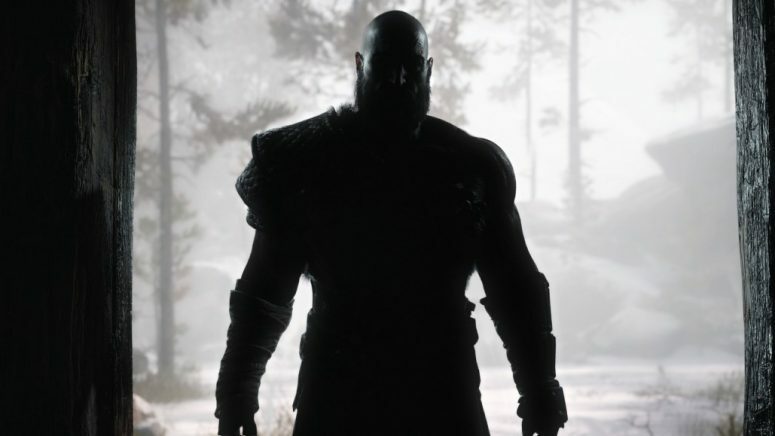 With the entire Greek world now destroyed, Kratos seeks a new beginning under Norse cosmology. His transition into Midgard grasps at the possibility of a fresh start, hoping to leave behind the dark memories that plague him. Real-world migrants relate to this idea of breaking away from the past and starting over in a new location. But all too often we fail to realize that a mere change of scenery may not have much of an impact on the disfigured landscapes of our hearts. When my father moved our family from Taiwan to Australia, he brought with him a mountain of unresolved issues. This severely damaged our relationship, and I am still scarred by patterns familiar to dysfunctional migrant families. I managed academic dominance in my primary years and performed well enough to gain entrance into the best selective high school for boys at the time. Later on, as school subjects diversified and increased in complexity, I began to struggle and fall behind, especially in areas dependent on a good level of English (my second language). Failure was new to me, and I wasn’t taught how to deal with it. All I knew was that if I didn’t soar above the rest, I might as well bury myself in a hole to escape incoming criticisms. Asking for help was also out of the question because that equated to a confession of defeat. Such vulnerability would not earn points with my super successful father who had figured out everything on his own since he was young. The few times that he did try to teach me something, it was at best done with a frown; at worst, explosions of rage. Family drama always finds a way to intrude. So I’m not surprised to see Atreus trying to impress his father. As a warrior, Kratos’ formidable record of battle victories places tremendous pressure on his son to perform. The boy is ever eager to prove his worth but believes that every mistake justifies shame. I long ago realized the futility of trying to live according to my father’s wishes. As I grew older, the conflict in his mind became apparent. For as much as he admires the achievements of the West, the methods he forced upon me were mired in the rigid traditions of the East. Instead of celebrating strength in diversity, I was caught between worlds, battered by clashes of cultural differences. Despite the numerous issues I experienced growing up, none of them were as impactful as the volatile, unadulterated anger that erupted from my father’s soul. He may lack skill with axes and blades, yet his thunderous voice rivals the Spartan’s trademark rage. 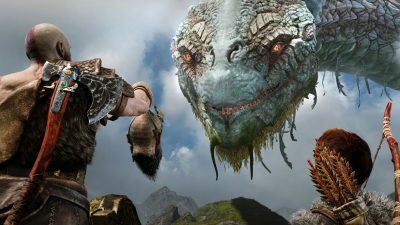 For Kratos, his journeys have always been littered with all manner of pissed-off creatures, some of which measure more than a thousand times his size. But at the end of every encounter, we are reminded that he is meaner, scarier, and more dangerous than anything roaming the nine realms—the rage in his heart is the deadliest weapon. It is unnerving for children to have a father like this. On good days, we must tiptoe around the house; on bad days, we face the full brunt of his wrath. The fear and anxiety that accumulates as part of daily life become exhausting and traumatic for young minds. My father didn’t require a solid reason to unleash. On countless occasions, it would be due to particular preferences, while on others he took out work frustrations on the family. As years went by, he became increasingly unpredictable. Unlike a video game character, it was impossible to keep an eye on his rage meter. Suffering long under his threat led me toward abject insecurity, low impulse control, addictions, plus other mood and personality disorders. To deal with insurmountable, pent-up fear, I even started to emulate my oppressor in attempts to outdo him in wrath and violence. You see it happen to Atreus too. A giant troll ambushes the father and son during the hunting trip. After the beast is defeated and falls to the ground, Atreus suddenly charges up to the corpse and starts slashing away with his knife in absolute fury, shouting at the top of his lungs: “THAT’S WHAT YOU GET! THINK I’M AFRAID OF YOU?! YOU’RE NOTHING TO ME! !” The troll itself isn’t anything that remarkable, but the way Atreus lashes out at it reflects the many moments his father had been drunk with bloodlust in the past. To deal with insurmountable, pent-up fear, I even started to emulate my oppressor. Kratos isn’t a stranger to losing control and doing things that he later regrets. Though he is now older and more disciplined, the influence he has on his son fuels both fear and rage. To let loose in a psychotic manner in the presence of his father feels like an attempt for Atreus to push back against the one who crushes him with fear: Stop provoking me, or you’ll be next! I sure can relate, considering my own history of impulsive destruction. In a notably dark stretch when I was sick of all the abuse and felt that I had nothing else to lose, I went as far as plotting out my own road to patricide. 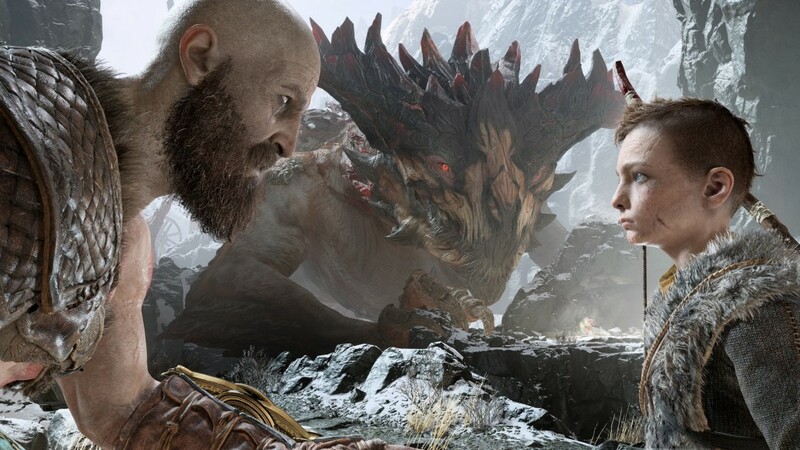 Kratos and Atreus go through many ups and downs throughout their arduous journey. Eventually, they start to uncover opportunities to talk and understand, as well as show forgiveness to each other. 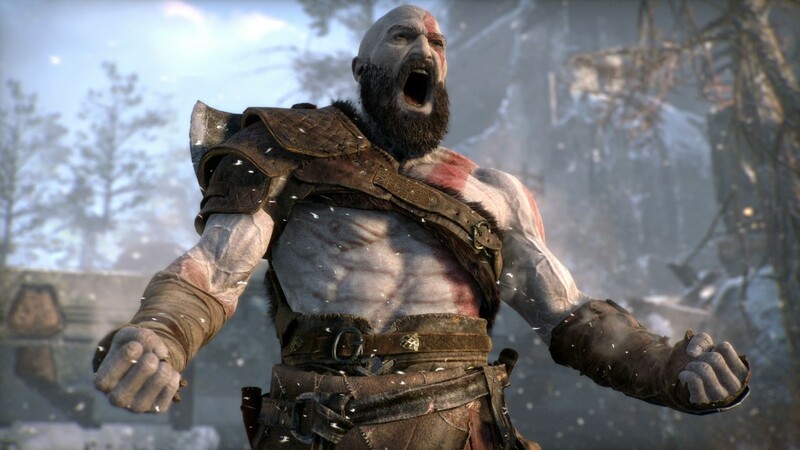 While the courage and determination of Atreus are unquestionably amazing, I find profound comfort in witnessing Kratos finally shake off a generational curse of bad parenting. For those that may never experience reconciliation with our own fathers, it is important to realize that we, ourselves, can become half-decent parents. This is a big deal for me. In my eight years of marriage, I have always steered clear of contemplating having children. I fear that I would mess them up the same way I’m messed up. My time with God of War has shown me that all is not lost. But above all, I owe another parental figure for the restoration of hope in my life: when things don’t work out with the earthly father, there is a heavenly Father I can look to. It isn’t easy for me to relate to God from the perspective of a son. Furthermore, since the Bible elucidates the wrath of God—the dangerous element in a patriarch that I would surely like to guard against—shouldn’t that deter me from ever approaching Him? Just hear this warning from Jesus: “I tell you, my friends, do not be afraid of those who kill the body and after that can do no more. But I will show you Whom you should fear: fear Him who, after your body has been killed, has authority to throw you into hell” (Luke 12:4-5). 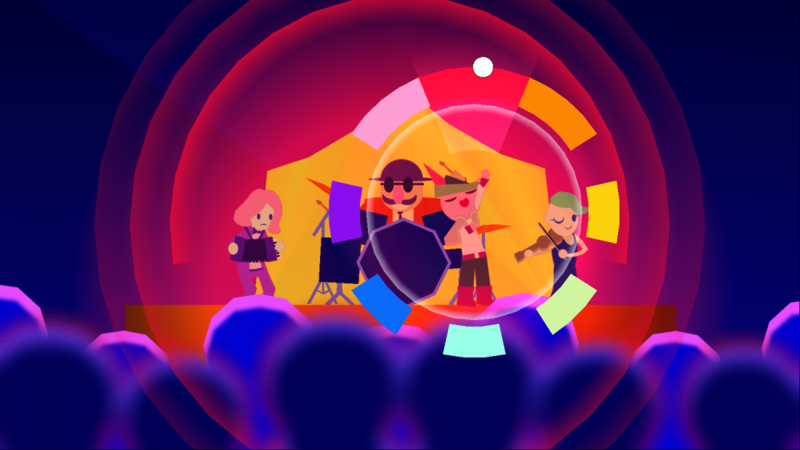 But there is so much more to the whole picture. Mulling over the wrath of God has proven to be a helpful starting point for understanding the full spectrum of his character, and why He is the veritable Good Good Father. The heavenly Father’s anger is worthy of fear. But His desire and care for us are even greater in magnitude. Through getting to know this God, I observe that his anger is displayed toward the violence, pride, lust, greed, and all manner of evil. He holds those in authority accountable, as their misdeeds impact great multitudes, including the most vulnerable. The prophets reveal his heart: “Woe to those who make unjust laws, to those who issue oppressive decrees, to deprive the poor of their rights and withhold justice from the oppressed of my people, making widows their prey and robbing the fatherless” (Isaiah 10:1-2). On a personal level, I recognize my own rebellious tendencies and grievous sins. I have shattered my parent-child relationship with God, yet show little to no regard for Him. That would anger any parent and is justified in the Creator who watches those made in His image hurt one another day and night. Doesn’t this call for some firm discipline for our sake? While the wrath of God is something to heed, it burns in stark contrast to my father’s rage, where he flies off the handle at random. I could even derive a sense of security from the heavenly Father’s emotive aggression as it focuses on things worth getting upset about. At the very least, the reasoning behind His anger and its consistent application provide clarity for my soul. More importantly, God doesn’t lose His temper to create separation, as my father tends to do. God’s anger is a response to the separation inflicted by my own selfishness. He has always valued reconciliation over anything vindictive, stating: “Do you think that I like to see wicked people die? Of course not! I want them to turn from their wicked ways and live” (Ezekiel 18:23). I am far from alone in stirring up the wrath of God. But His unconditional love shines through in the end. Jesus, the peacemaker between heaven and earth, gave up His life for you, for me, for all of us. In His sacrifice, we celebrate the Father’s compassion as His anger dissipates: “God demonstrates His own love for us in this: while we were still sinners, Christ died for us. Since we have now been justified by His blood, how much more shall we be saved from God’s wrath through Him!” (Romans 5:8-9). The heavenly Father’s anger is worthy of fear. But His desire and care for us are even greater in magnitude—not something that I am used to. I hope that my earthly father will one day see this light. Because of the redemptive work of Jesus, we have nothing left to fear. Rather, as cherished children of God, we may embrace the love that mends and transforms our hearts to become better fathers and mothers, and stronger sons and daughters. 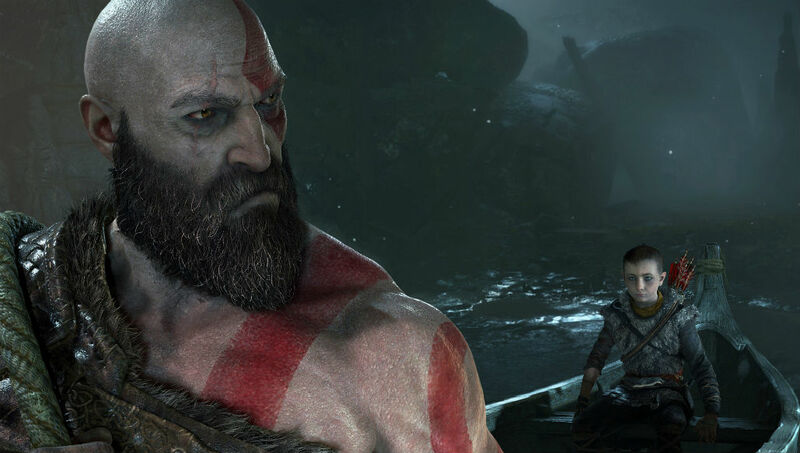 God of War shows us the good, the bad, and the ugly of parenting through the eyes of Kratos.